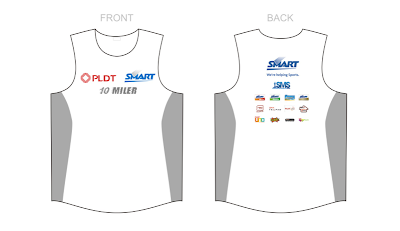 PLDT in partnership with SMART is inviting Cebu Runners and Fan Run enthusiasts to join PLDT-SMART 10 MILER Run on January 31, 2011. With your participation, you can help underprivileged people through PLDT/Smart Foundation's Educational Programs. 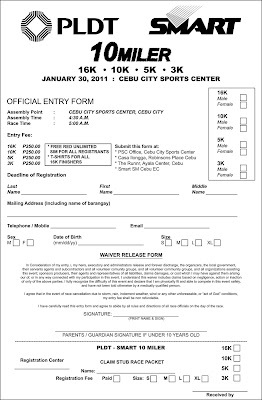 Registration starts yesterday, January 10, 2011. See below for more details.